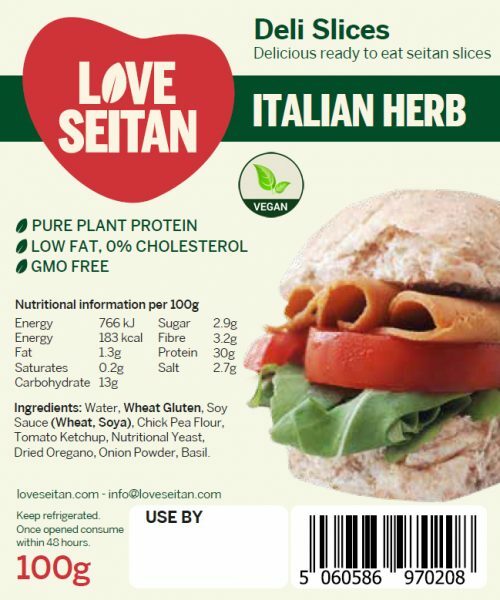 Ingredients: Water, Wheat Gluten, Soy Sauce (Wheat, Soya), Chick Pea Flour, Tomato Ketchup, Nutritional Yeast, Dried Oregano, Onion Powder, Basil. Allergen advice. For allergens, including cereals containing gluten, see ingredients in bold. Allergens given are indicative only. 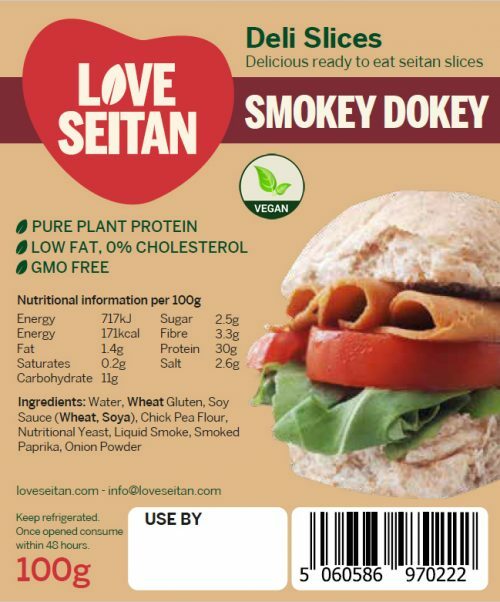 100g Ingredients: Water, Wheat Gluten, Soy Sauce (Wheat, Soya), Chick Pea Flour, Nutritional Yeast, Liquid Smoke, Smoked Paprika, Onion Powder. Allergen advice. For allergens, including cereals containing gluten, see ingredients in bold. Allergens given are indicative only. 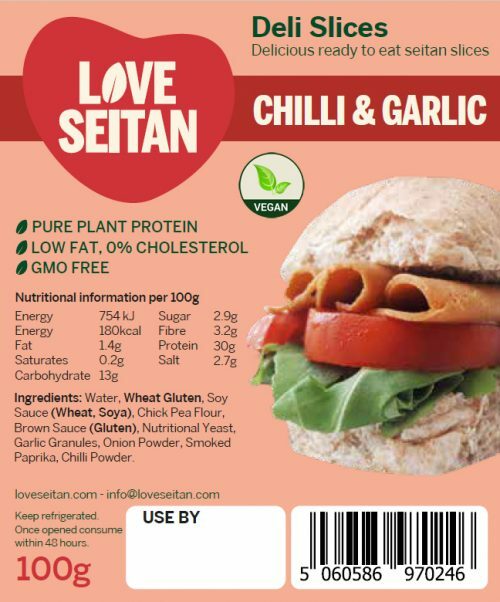 100g Ingredients: Water, Wheat Gluten, Soy Sauce (Wheat, Soya), Chick Pea Flour, Brown Sauce (Gluten), Nutritional Yeast, Garlic Granules, Onion Powder, Smoked Paprika, Chilli Powder. Allergen advice. For allergens, including cereals containing gluten, see ingredients in bold. Allergens given are indicative only. 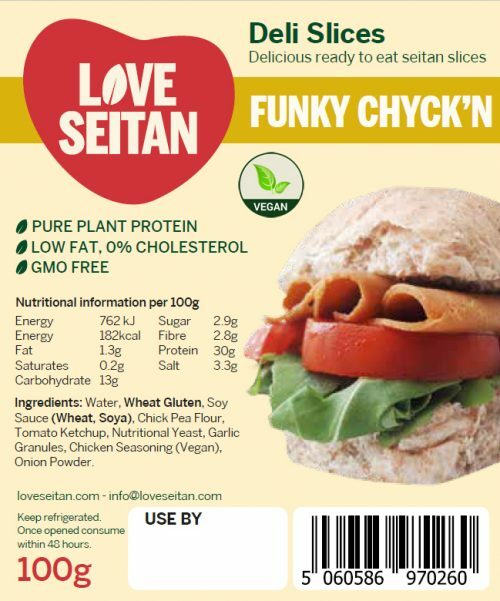 100g Ingredients: Water, Wheat Gluten, Soy Sauce (Wheat, Soya), Chick Pea Flour, Tomato Ketchup, Nutritional Yeast, Garlic Granules, Chicken Seasoning (Vegan), Onion Powder. Allergen advice. For allergens, including cereals containing gluten, see ingredients in bold. Allergens given are indicative only. 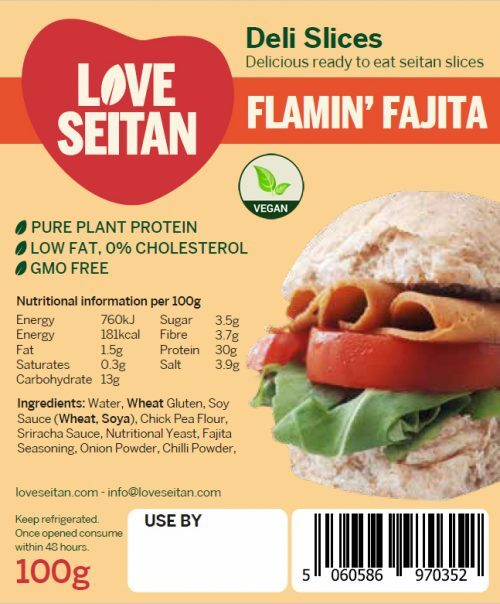 100g Ingredients: Water, Wheat Gluten, Soy Sauce (Wheat, Soya), Chick Pea Flour, Nutritional Yeast, Onion Powder, Fajita Seasoning, Chilli Flakes, Chilli Powder. Allergen advice. For allergens, including cereals containing gluten, see ingredients in bold. Allergens given are indicative only. 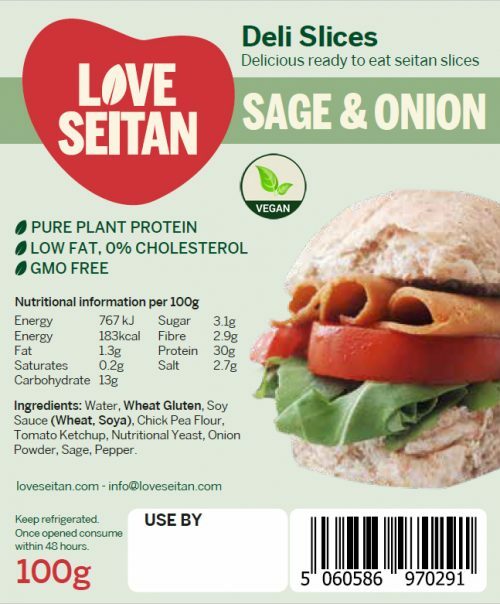 100g Ingredients: Water, Wheat Gluten, Soy Sauce (Wheat, Soya), Chick Pea Flour, Tomato Ketchup, Nutritional Yeast, Onion Powder, Sage, Pepper. Allergen advice. For allergens, including cereals containing gluten, see ingredients in bold. Allergens given are indicative only.